This is why you have to love Japan. They just do weird **** and get on with it. Carter actually landed a 62 metre (see below) kick in 2006 against South Africa, but that was at altitude and probably only equates to about 40 at sea level. 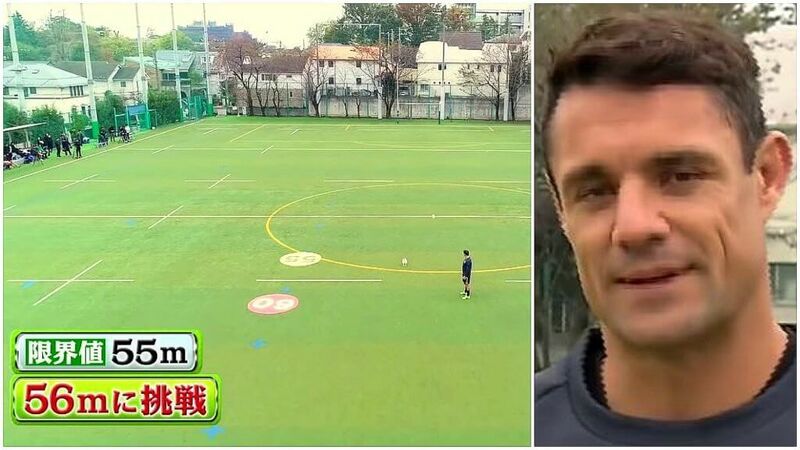 Anyway, he’s attempted a 56 metre in Japan. Here is the result.